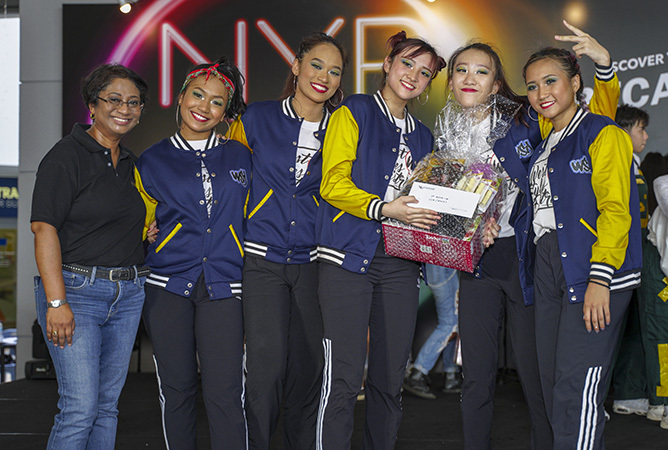 Competition was red hot for NYP Groove! 2019. 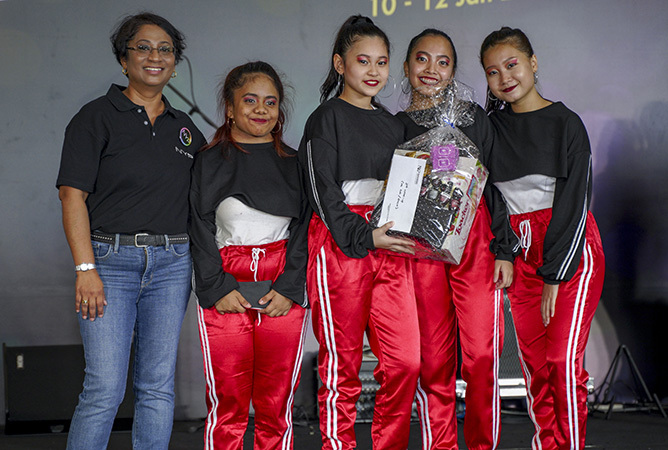 Amidst the bustling atmosphere at the Nanyang Polytechnic (NYP) Open House, street dance finalists across the Secondary School and ITE categories for this year’s NYP Groove! brought their A-game to the stage for the final showdown. All decked out in their hip-hop finest, the various dance crews hit the floor with their fiercest looks in a bid to wow the judges. And boy, did they come dressed to impress – just check out their squad-worthy ensembles! As we inched closer to the start of the competition, the atmosphere began to heat up as the crowd gathered in support of their favourite teams. Coupled with fervent screams from their respective cheering squads, the eagerly-anticipated finals for NYP Groove! 2019 kicked off on an explosive note. From hair-whipping moves to gravity-defying stunts, each team wasted no time in pulling out all the stops to stand out from the pack. 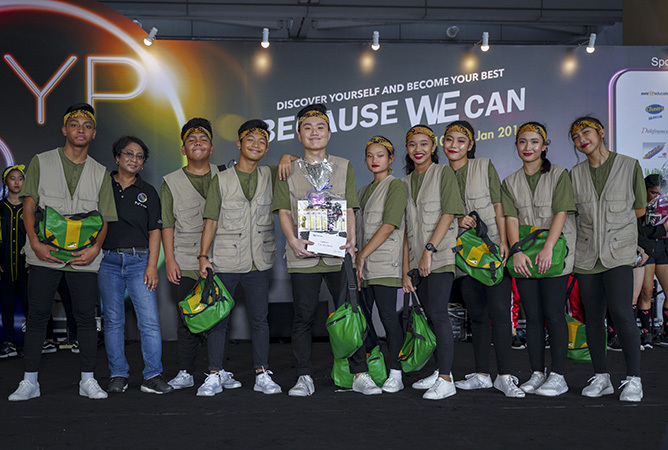 It was a nail-biting fight from the start to finish as they battled it out for the coveted winning title, but which group eventually emerged as the next street dance champs for NYP Groove! 2019? So much talent in the house! At the end of the day, everyone’s a winner and these young street dance prodigies are only going to get even better in the future. Once again, huge congratulations to all the winning teams! Teenage Vol.30 Issue 4 Featuring Ariana Grande – Out Now! 2018 was one heck of a wild ride, wasn’t it? And nobody knows it better than our cover star Ariana Grande, who had turned her worst year to her best one yet. From handling her very public breakup like a total BDE queen, to dropping the ultimate self-love anthem ‘thank u, next’, it looks like the ponytailed princess is ready to take on anything that the world throws at her. And if Ari can do it, so can you – which is why this issue has all the inspo you need to live your best life. Whether you’re looking to change up your hairstyle for the new year, get some fresh kicks for school, or simply want to do your part for society, we hope these stories will inspire you to step out of your comfort zone and embrace the unfamiliar. For those who are about to embark on your tertiary journey, don’t forget to check out our annual Passport to the Future, bundled with the main magazine. This edition is chockfull of practical advice and strategies that will not only help you achieve academic success, but in every aspect of your post-secondary life – easy lunchbox recipes, new after-school hangout spots and more. It’s been an amazing year, and we can’t wait to embark on the next chapter of our journey with you guys. Bring on 2019! Music? Check. Choreography? Check. Makeup? Check. 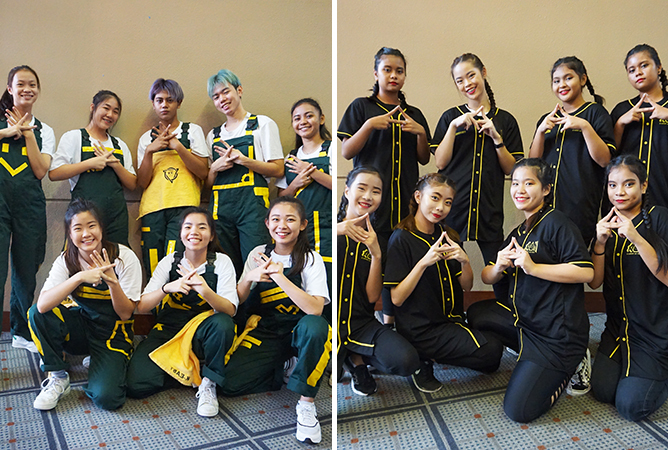 Preparing yourself for an upcoming audition can be a nerve-wrecking affair – but these talented dance crews who took part in the auditions for the NYP Groove! Street Dance Competition certainly seem to have the success formula down pat. Keep these tried-and-tested tips in mind so you can leave the audition room with a straight pass to the finals! Although there’s nothing wrong with donning plain ol’ sweats, showing up in your streetwear finest could very well impress the judges right off the bat. Besides helping you to stand out amongst your competitors, it also displays your impeccable teamwork as a group before you even execute a move. Just take it from K-East (right) and Academy of Nutz (left), who were basically the embodiment of peak squad goals with their perfectly-coordinated ensembles. Each of the teams auditioning for NYP Groove! came prepared with different concepts and routines, but they all have one thing in common: a fierce attitude. As much as it’s important to perfect those dance moves, nothing commands more attention than being confident in your abilities. So werk that hip-hop swag and sashay away! This is a tough one. While some judges may be against the use of props as it could be borderline distracting and end up hindering your performance, there are times when you have to be prepared to take risks in order to stand out. When done right, improvising with props add an element of surprise to your choreography and gives the judges something to look forward to during the finals. What’s a street dance competition without the mandatory death drop? Leave it to Marquise from the ITE category to deliver the gasp-worthy move in perfect formation, without missing a beat. And boy, did they ace it. Of course, you don’t have to go all out with jaw-dropping stunts just to impress. It can be something as small as sneaking in a wink mid-choreography, an extra chest pop during the dance break, or a quick flip at the end – it’s all about the timing! Don’t just walk into the audition room with the mindset that you’re here to, well, audition. Shake off your nerves and perform as if you’re dancing in front of an audience. Even if you’re unsure of the steps, hold your head up high and refrain from looking to your choreographer for validation. Auditions allow judges to get a sense of what your true capabilities are, so be sure to give it your best shot. Get out there and own the stage! 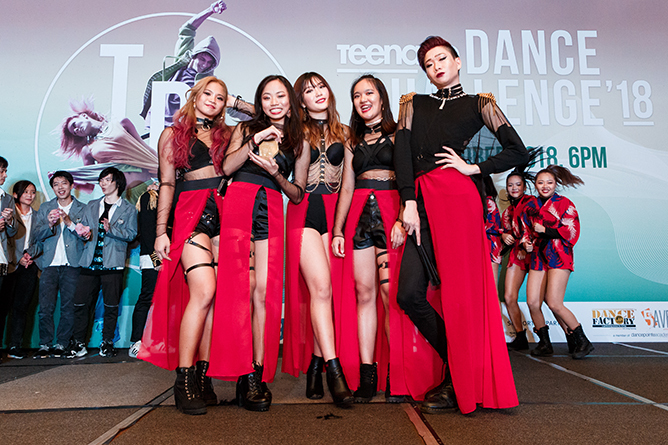 Want to catch these talented dance crews in action? 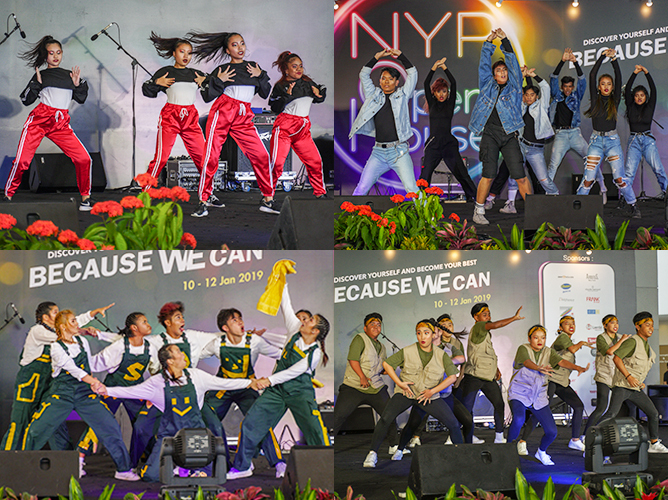 Show your support for your favourite finalists at the NYP Groove! Street Dance Competition finals happening on 12 January 2019 (Saturday), 1pm at the NYP Open House! 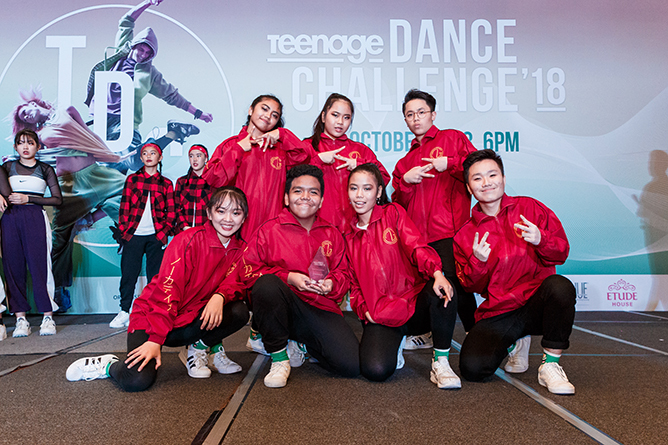 2018 marks the 9th year for our annual Teenage Dance Challenge (TDC) and the competition just gets more and more impressive each year. 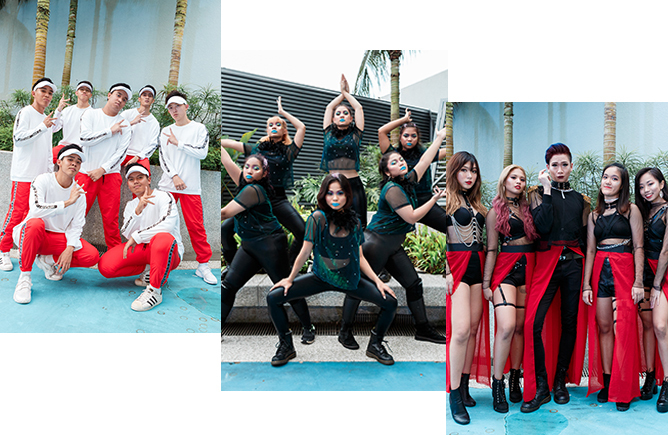 After a nail-biting round of auditions, a total of 17 powerhouse groups across the Street Dance and K-pop Dance Cover categories took the JCube stage on 13 October to battle it out for the crowning glory. Missed out on the action? Here’s a quick recap of what went down during the TDC 2018 Finals! 11am – Despite arriving bright and early for the stage rehearsals at JCube, the dance teams showed no signs of exhaustion as they powered through their routines with ease. Check out their superb moves! 5pm – Makeup? On point. Costumes? Killed it. Decked out in perfectly-coordinated ensembles, our finalists were all dressed to impress in their fiercest looks. Can anybody say squad goals? 6pm – The stage was all set for the final showdown! Fervent supporters gathered in support of their favourite teams and pulled out all the stops to cheer them on – bonus points for the epic fanboards! 6.30pm – The party was just getting started! 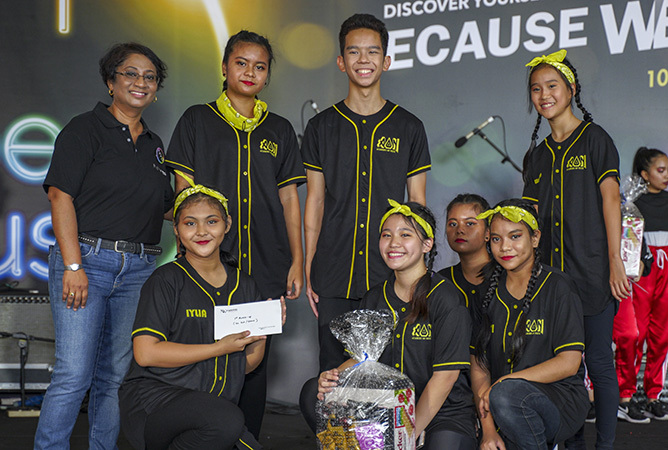 To heat things up, we invited mvAVE Kidz from Dancepointe Academy for a special appearance where they got the crowd all riled up with their contagious energy. 7pm – Leave it to the Street Dance category to kick off the show with a bang! Armed with their head-whipping moves and jaw-dropping formations, these daredevils brought their swaggiest game to the stage. 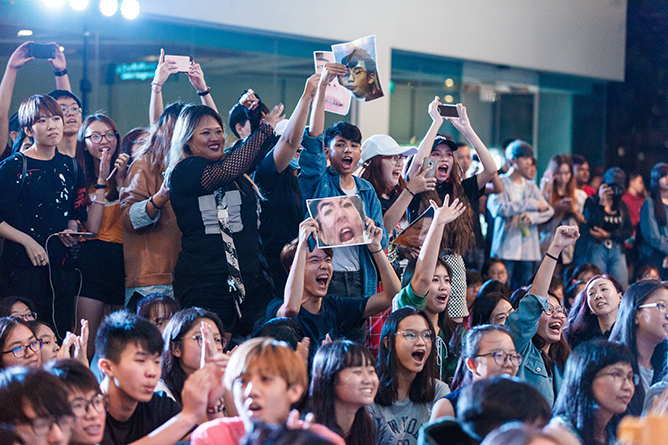 7.45pm – This year’s crop of K-pop hopefuls saw plenty of new faces to the competition, but they sure didn’t come empty-handed. 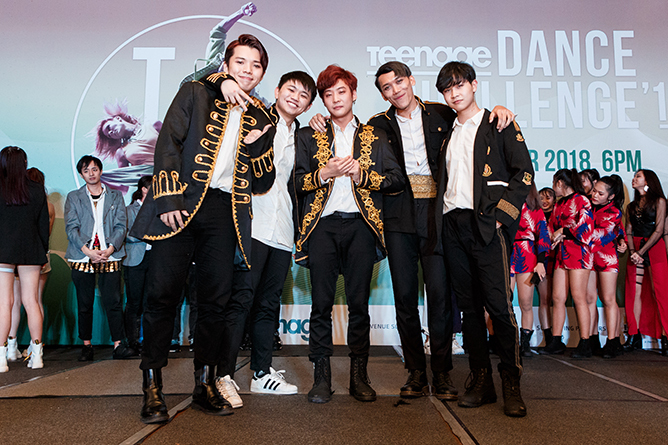 With their music video-worthy costumes and synchronised moves, they had the crowd fan-chanting along to every performance as they sashayed away to the tunes of BTS, Wanna One and BLACKPINK. 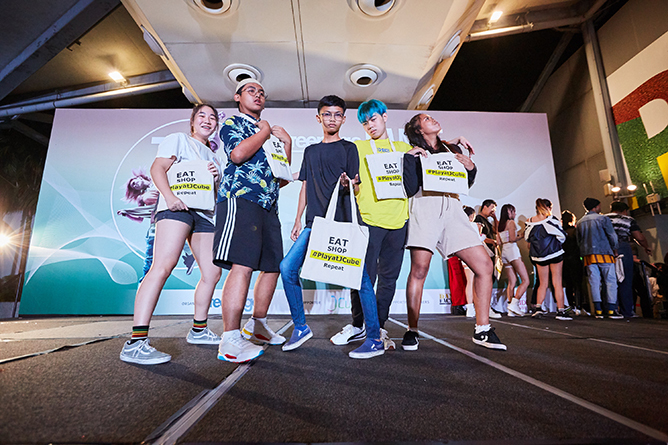 8.15pm – As we patiently await for the results to be unveiled, the audience was treated to guest performances from TDC alumni STARREseconds and took part in exciting stage games where they walked away with some awesome swag bags from JCube! 8.30pm – After a tough round of deliberation by the judges, we have our winners for TDC 2018! Huge congratulations to all the winning teams! 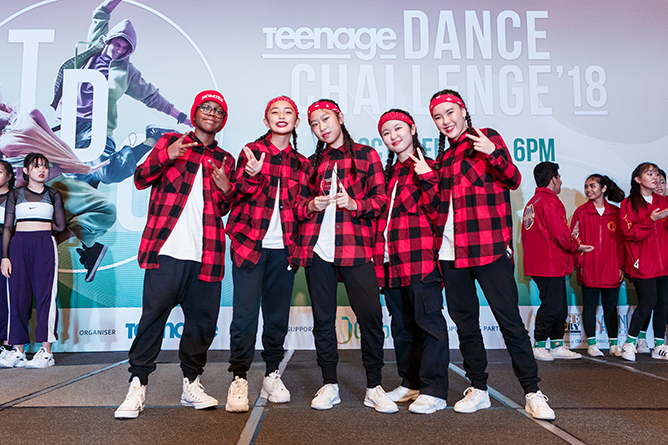 We hope everybody had a blast and see you next year at Teenage Dance Challenge 2019! Dance is not an easy art form – and non-dancers may not always understand the hard work put into perfecting a routine. In fact, the world of dance today is similar to that of an extreme sport where dancers are not just artists, but also athletes who have given time to cultivate through passion, sweat, tears and sometimes blood. 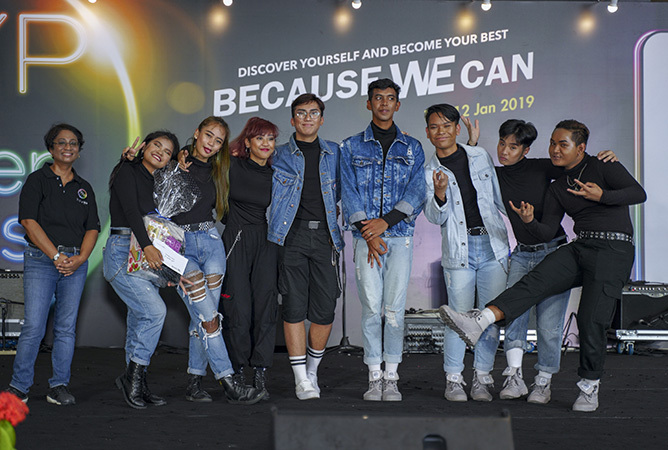 To uncover more on what it is like to be a dancer in the local scene, we asked some of these bright, young dancers to share their thoughts with us. Psst… are you a part of a dance crew? 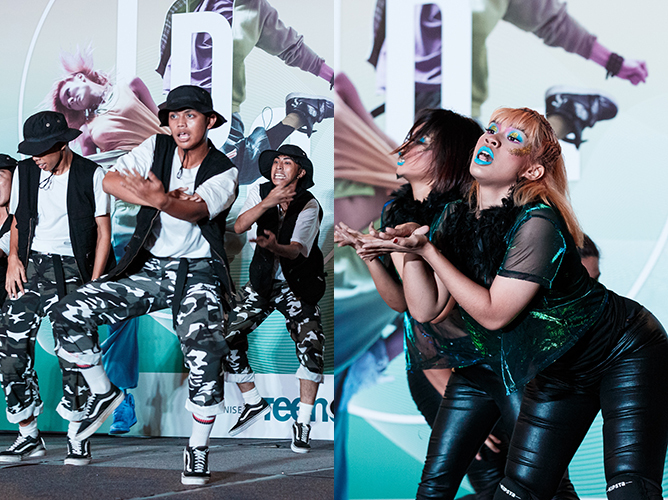 Don’t miss your chance to showcase your slick moves at NYP Groove! Street Dance competition! Who knows, you and your squad might just be the next champs. To sign up, click here! How many of these points can you relate to? If you’re just as passionate about dancing as they are, be sure to sign up for NYP Groove! Street Dance competition. Registration closes in less than a week’s time on 25 November (Sunday) – hurry up and sign up your crew now!